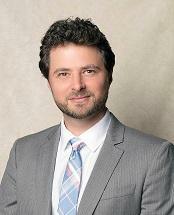 Mr. Herwitt is an experienced litigator and trial attorney, with an emphasis on employment and commercial litigation. He has successfully litigated numerous cases involving violations of California and Federal labor laws, including claims of discrimination, harassment, retaliation, wrongful termination, and trade secret theft, and has handled a wide array of complex commercial and high-stakes business disputes. He also has extensive experience handling claims of business fraud and violations of California unfair competition laws. Mr. Herwitt has substantial pre-trial and jury trial experience, having independently tried cases to favorable and unanimous jury verdict. In fact, Mr. Herwitt and Mr. Barrera first met when they worked as co-counsel for an aggrieved employee in a contentious wrongful termination/retaliation action. Their shared history of successful work on that jury trial ultimately led to Mr. Herwitt joining Barrera & Associates in 2019. Prior to Barrera & Associates, Mr. Herwitt's litigation practice included representation of both plaintiff and defense clients, allowing him to develop a strategic mindset geared towards understanding the motivations of an array of adversaries, and effectively anticipating opposing litigation tactics. He is dedicated to protecting the rights of his clients, and to achieving justice and effective solutions on their behalf. Jeremy received his J.D. from Washington University in St. Louis in 2007, where he was awarded a Scholar In Law scholarship, and served as a student attorney in Washington University's nationally-recognized Interdisciplinary Environmental Law Clinic. While in law school, he was also selected to participate in the school's Congressional and Administrative Law Clinic, where he served as a legal fellow to U.S. Senator Herb Kohl on the Senate Judiciary Committee and its Subcommittee on Antitrust, Competition Policy and Consumer Rights. He earned his B.S. from the University of California, Los Angeles in 2001. Mr. Herwitt is admitted to practice before all courts in the state of California and before the U.S. District Courts for the Northern, Central, and Southern Districts of California. He speaks conversational Spanish and is an avid alpine-skier and backpacker. He resides in Redondo Beach with his wife and their two children.